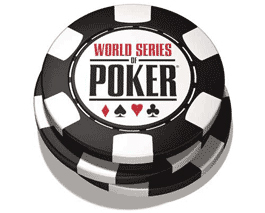 By being the most prestigious poker tournament in the world, the Main Event of the World Series of Poker (WSOP) displays regularly a record attendance. For this edition 2015, the surprise was however observed as the registered field on Day 1A of the Main Event at $ 10,000 was only of 741 players. There is a fairly consistent regression compared to last year which was of 772 participants. Despite all this, the tournament was deemed a success. The structure was also appealing. The competitors had a starting stack of 30,000 with blinds of two hours. After the first qualifying day, 470 players survived. At the top of the chipcounts is William Kakon. He holds a stack of 152,325 chips. But this slight advantage cant ensure him yet for being qualified for the Day 3. Indeed, a horde of poker stars is following him closely to name only Dario Sammartino who has 129,850 chips in hand and Fedor Holz with 117,800 chips in his possession. Some notable players and well known name I the field just like Mike Matusow, Jorryt van Hoof, the One Drop High Roller 2015 champion Jonathan Duhamel and Barry Shulman are also among the survivors of the Day 1A and they can still achieve great feats. Regarding the eliminated ones, the holder of 8 WSOP bracelets Erik Seidel, former finalist Josh Arieh and holders of 7 bracelets Billy Baxter and Andy Bloch joined the bench of eliminated before the end of the day.